Made entirely from approx. 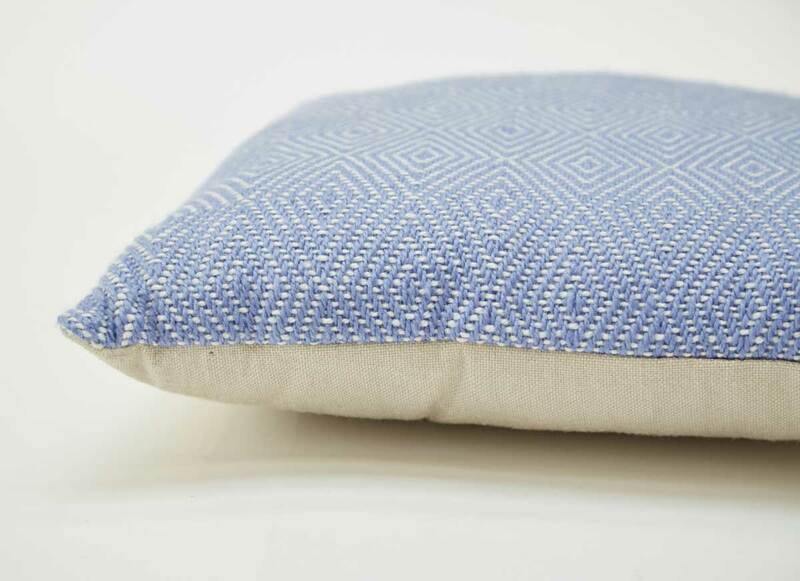 50 recycled plastic bottles, these gorgeous Weaver Green lightweight cushions look and feel like wool, but are the perfect, practical and environmentally friendly option. 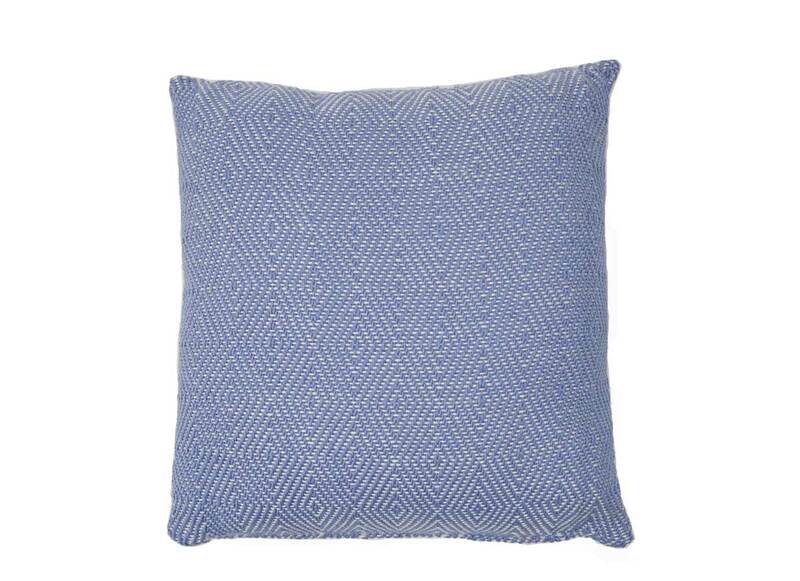 Carefully created from the same yarn thickness as the blankets, these lightweight cushions are soft, stain resistant, machine washable and great for indoor or outdoor use. These lightweight cushions are perfect for pet owners, red wine lovers and beach goers, as they are mould resistant, incredibly easy to clean and hard wearing. Moths won’t eat them and dust mites won’t live in them, so they are great for allergy sufferers too. Includes cushion inner also made from 100% recycled plastic bottles. Weaver Green produce beautiful, soft, hand-woven indoor and outdoor rugs and textiles from yarn spun entirely from recycled plastic bottles. With over 30 billion plastic bottles finding their way into our seas each year and over 90% of all marine birds having plastic deposits in their stomachs, they felt it important to look at creative and useful ways of recycling plastic bottles and making them into valuable and beautiful additions to our homes. They only use weaving houses committed to employ skilled adults, who are paid fairly and enjoy comfortable and fair working conditions.